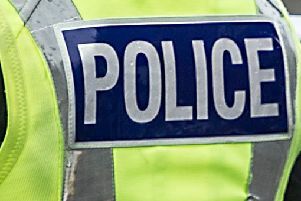 A mother of four who steadily “frittered away” the £50,000 she stole from her grandmother has been jailed for two years. Samantha Marley’s crime was only discovered after she failed to collect Sarah Glasgow (86) from a care home where she had been placed. Checks on her gran’s online bank account, which Marley was entrusted to set up on her behalf, showed there was only £400 left out of the pensioner’s original £97,000 savings, which included the proceeds from the sale of her home. 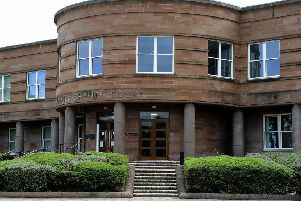 Marley (33), of Bridgend, West Lothian, was sentenced at Livingston Sheriff Court on Friday after earlier pleading guilty to stealing bank cards and bank details from Mrs Glasgow before transferring cash to herself without permission. Marley’s lawyer, Alan Jackson, said there was no possibility of the money being repaid. He said she had taken her grandmother into her care in her own home around September 2015 following the death of her mother, who had previously cared for her gran but had died two years earlier. She had set up an online banking account for her grandmother and had a mandate to use certain funds to assist her, but, said Mr Jackson, she “went far beyond that”. He said she gained no material benefit, and that most of the stolen cash was spent on her four children. At one point she bought five dogs, then a holiday for the children. The lawyer said a psychological report showed Marley was unable to cope with a deteriorating family situation, and suffered underlying anxiety. But Sheriff Peter Hammond said a jail term was inevitable. Passing sentence, he told Harley: “You have admitted over the course of a year and a quarter you stole the sum of £50,000 by instalments, gradually depleting your grandmother’s bank account by transferring it to yourself when you were not authorised by her. “This was a wicked and protracted breach of your grandmother’s trust when you were only due to use the money for purposes approved by her”.